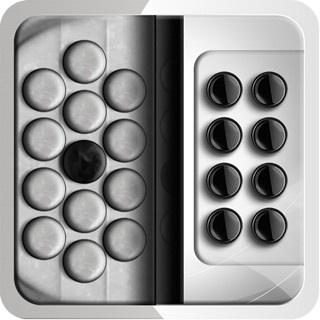 The Hohner MIDI SqueezeBox is a 31-button three-row diatonic Button Accordion CoreMIDI control surface for the iPad. Inspired by the iconic Hohner Corona II, the app uses the standard GCF (Sol) button layout popular for Tex-Mex, Norteño, Tejano, Conjunto, Vallenato, and similar styles of button accordion. Please visit the app website to see a demo video of playing SampleTank with the Hohner MIDI SqueezeBox. Touch the buttons with the fingers on your right hand to play. Buttons highlight when playing. Multiple buttons may be pressed at the same time to make chords. The app is based on the standard GCF tuning. Other common tunings can be achieved by setting the transposition control. For example, for FBbEb (Fa) tuning, set a -2 semitone transposition. For EAD (Mi) tuning, set a -3 semitone transposition. Touch the 'i' button at the middle top to send a MIDI "All Notes Off" message quiet any "stuck" notes if they occur. - For simple direct connection, in MIDI SqueezeBox, set the "Transmit MIDI Port" option to "Omni" . - If using a MIDI filtering app like MidiBridge to modify the data stream, in MIDI SqueezeBox, set the "Transmit MIDI Port" option to "Virtual Port". I keep seeing negative reviews that say "The app makes no sound" or "No hace ningun sonida". That's absolute right. This version of the SqueezeBox app family is a MIDI controller. It doesn't make any sound on its own. It says so right in the app description. This app is used for controlling other CoreMIDI-compliant MIDI synthesizer apps like ThumbJam and Sample Tank, those apps make the sound, this app is for playing them. It's exactly like using an external MIDI keyboard controller to play a synth program running on the iPad, except in this case, the controller is virtual, running on the iPad itself. The app just sends control signals to whatever synth app you run on the iPad along with this app. 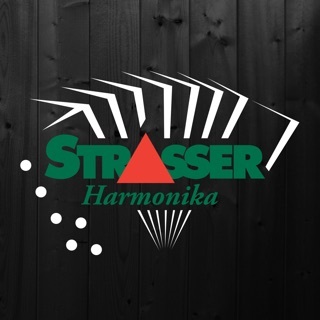 If you want an app that makes accordion sounds on its own, you should be buying one of the other Hohner SqueezeBox apps, not this one. Please take the time to read the description before buying. 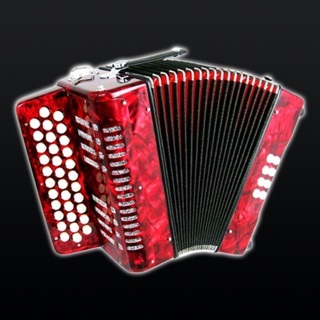 Another great app to use when you don't want to practice and don't have your accordion. Really cool being able to play different sounds. 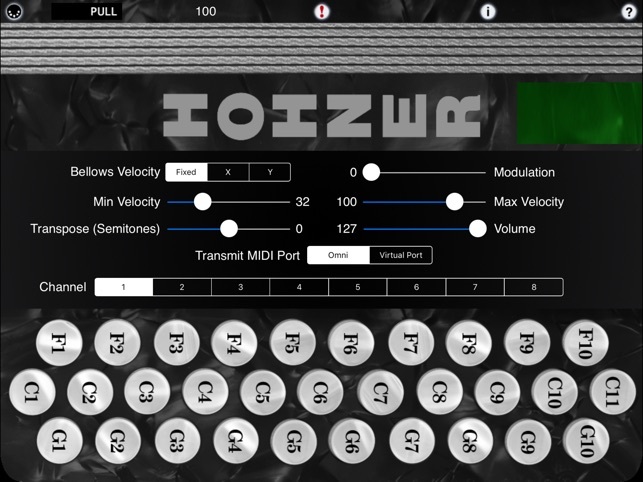 These Hohner apps are the only reason I bought an Ipad.